Beginning from where the first part left off, Incredibles 2 tells the story of how Mr. Incredible, Bob Parr (Craig T. Nelson), his wife Elastigirl-Helen (Holly Hunter), their daughter Violet (Sarah Vowell) their son Dash (Huck Milner) and their infant attempt to gain acceptance as superheroes in a world that views extraordinary people as suspect and super-heroics have been explicitly outlawed. The theme ‘if everyone is special, no one is’ is used to promote an unusual moral, that when a law is unjust, the right thing to do is conscientiously break it until politicians see the light. 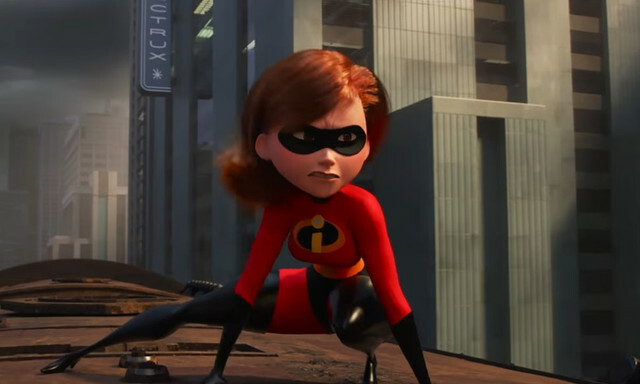 Incredibles 2 brings the opportunity to do exactly that for the superheroes. A superhero-adoring tycoon named Winston Deavor (Bob Odenkirk) and his sister Evelyn (Catherine Keener) recruit Mr. Incredible, Elastigirl and their friend Frozone (Samuel L. Jackson) to perform acts of heroism while wearing body cameras to show the world that they are saving lives and protecting property rather than causing the destruction and mayhem which seems to always accompany them. The Deavors ask Elastigirl to work alone during the initial stages of their image rehabilitation plan to minimise damages. 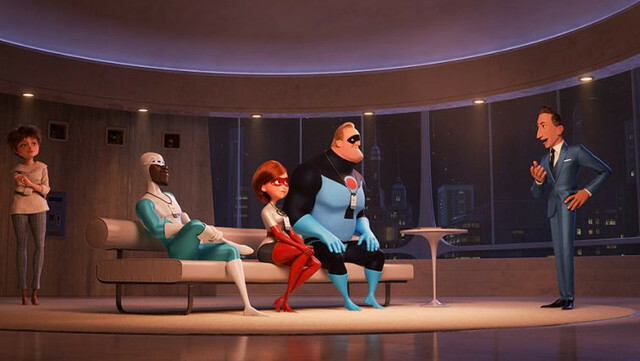 As a result, Incredibles 2 ends up telling two stories— one of Elastigirl as she attempts to uncover the identity of the mysterious villain Screenslaver, and the other of Bob as he stays at home and parents without Helen. Frankly, the second plot proves to be more entertaining. The best comedy in the film comes from watching Bob deal with the family drama. On one hand, Violet is upset that her successful attempt at courting one of her male peers was interrupted when the well-meaning teenager's memory is wiped in order to protect her secret identity. Dash, on the other hand, is struggling with a more relatable problem, his math homework. And Bob himself is frustrated that there is a ‘new way’ of teaching math, a subject he proclaims with righteous indignation doesn't need any modifications. 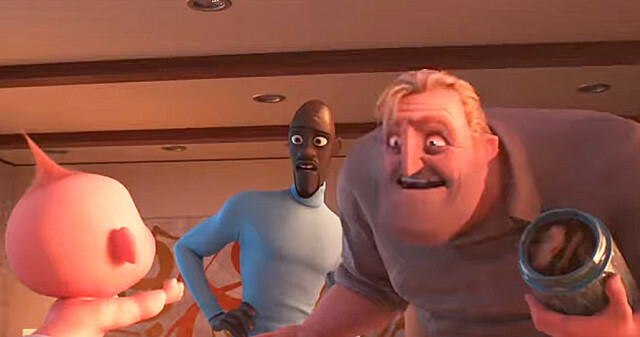 Jack-Jack, the pair's infant adds to the comedy by using the newly acquired number of superpowers to get into characteristically infantile antics. His ability to turn into a monster, shoot lasers from his eyes and pop in and out of alternate dimensions, take on a hair-raising and heavily destructive quality leaves the father deprived of the much-needed sleep. Bob’s various exhausted attempts to rein him in, as well as the way a cameo character from the first film ultimately helps him get a handle on things forms some of the funniest part of the film. The other part of the film is equally interesting. The action sequences in which Elstigirl saves the day are enjoyable. The only problem though is that much of it revolves around the audience supposedly not knowing who Screenslaver actually is, although one ascertains the identity pretty much immediately. If the film had exposed the character's identity earlier, the plot would not have felt a little ‘routine’. Usually, sequels feel inferior to the original. But that’s not the case here. Writer-director Brad Bird has returned to create a worthy, interesting story that befits the era we live in. What we get to see is an animated superhero film that also has time to make some important observations about father-daughter relationships and a husband feeling weak because his wife is the major breadwinner of the household. There’s a lot at play here and a lot to digest, whether they be kids or adults. 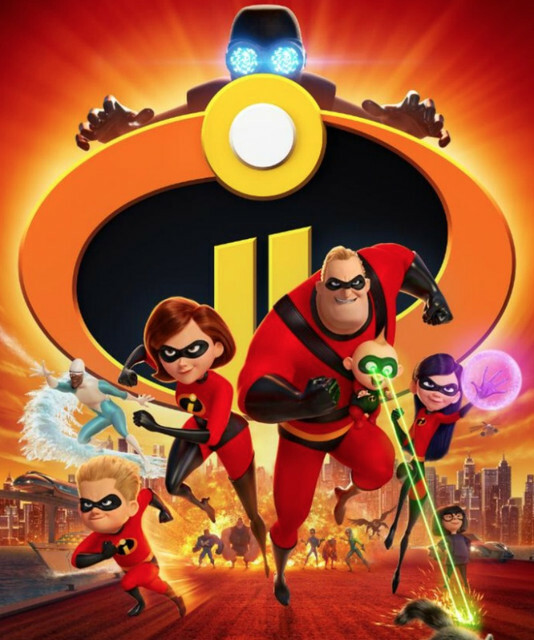 In a year saturated with superhero movies, where Avengers: Infinity War and Black Panther are already two of the highest-grossing films of all time, Incredibles 2 is a superhero movie that’s as thrilling for its action set pieces as it is for its eye-popping retro design, rousing spy flick-infused score and galvanising portrait of equality in the home and workplace.